Total cost: £779. 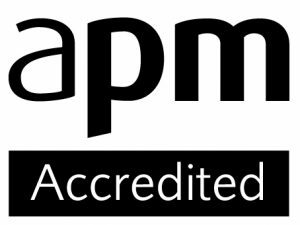 Start a career in project management with a two day APM Project Fundamentals Qualification (PFQ) course. No experience required. One exam. Bundle the APM PFQ with and APM PMQ to get the most out of your resettlement. The course offers a fundamental awareness of project management terminology and is for those wishing to gain a broad understanding of the principles of project management. No prior knowledge or experience is required for this qualification. You’re considering a career in project management but have no real experience. You’re looking for a generic qualification that can be used over a wide range of job opportunities. You’re looking to bundle together two project management qualifications for your resettlement, in the same financial year. Important: There maybe differences between the advertised course cost on our website, and that on the ELCAS website for the same course. A difference in cost is recognised and accepted by the resettlement team because they can’t always keep up with course changes. However, when completing your resettlement form you must inform your resettlement officer that the “Training Provider course costs have increased, and the ELCAS course costs are out of date”. They will then be able to enter the correct course cost into the system. The exam is normally taken at the end of the course on the afternoon of day 2. However, it is also available online so you can take it anywhere through live online proctoring. An online exam can be booked to take place at a time to suit you, 24 hours a day, 7 days a week, 360 days of the year. Lunch and Refreshments [Southampton] – let us know if you have any special dietary needs. Step 1: Once you’re happy with the course outline, select a course location and date from the drop down lists. Click “Make enquiry button”, and complete the form. Note our ELCAS number, course title, course date and course location for your resettlement forms. Step 3: On receipt of your payment contribution, we’ll email joining instructions and a video link of how to find us. There are no pre-course materials for the course.